Item # 306771 Stash Points: 1,199 (?) This is the number of points you get in The Zumiez Stash for purchasing this item. Stash points are redeemable for exclusive rewards only available to Zumiez Stash members. To redeem your points check out the rewards catalog on thestash.zumiez.com. Don't compromise your cute outfit with boring white socks, pick up the 3 Pack Heart Throb No Show Socks from Broken Promises. 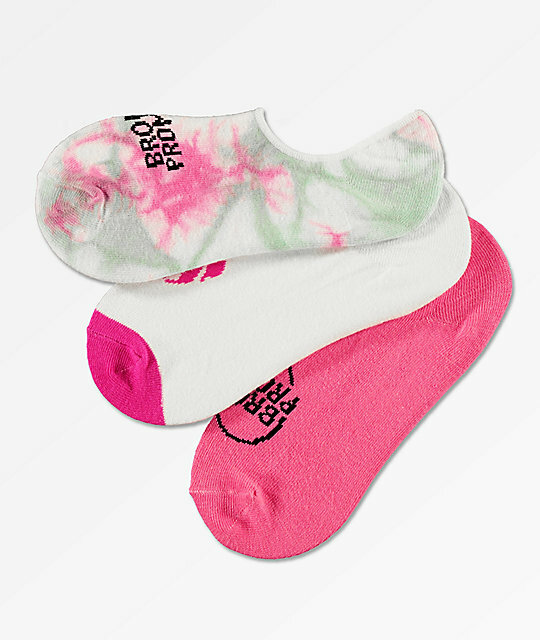 This pack of low-cut, no show socks includes three different pairs, featuring jacquard knit Broken Promises graphics throughout in pink colorways. 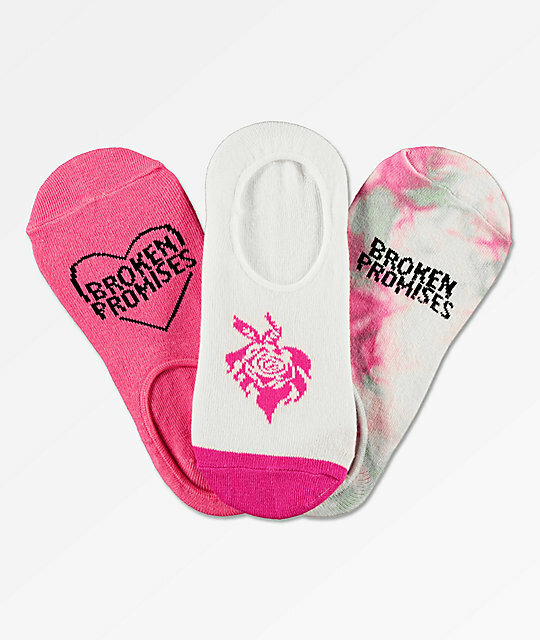 3 Pack Heart Throb No Show Socks from Broken Promises. Fits women's US shoe size 5-10. Three pairs of no show socks. Included Prints: Pink tie-dye, pink rose, pink & black.